The Samsung Galaxy Tab 2 7.0 is all set for release on the 22nd of April and the device will be offered to the consumers by Verizon. The tab will generally retail for $499.99 and Verizon will sell the device for $299.99 along with a two year contract. Now this makes the tab falling in the range of the low range devices like the Nook or the Kindle Fire. So, we have to see how this tablet makes its sales in the market. Another point to be noted is the Samsung Galaxy Tab 2 will also be offered with an option to upgrade the hardware of the tablet according to the customer’s requirements. 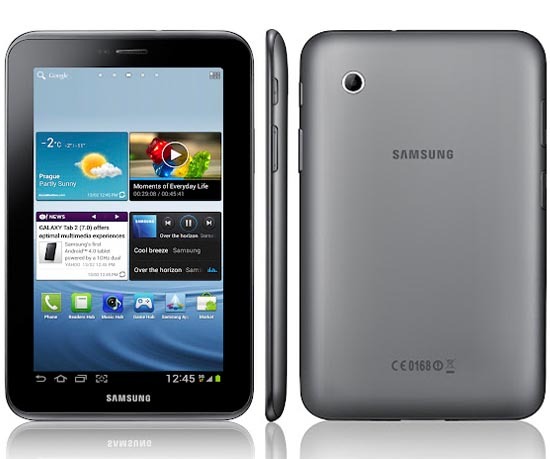 There is also good news for some of the customers who were planning to get a tablet, as Verizon is now offering the original Galaxy tab 7 at only $49.99 along with a new mobile broadband plan. However this offer will be valid only till the tab 2 hits the market. This price turnover can really bring some change in the market stats, it might not be a huge one but we may believe that it will at least sale a good number of devices till the release of the tablet 2.